So I purchased some nuts online. Not just any type of nuts, SOAP nuts. Actually they aren’t nuts at all but a type of berry that has soap type property in it to make it sudsy and help clean. 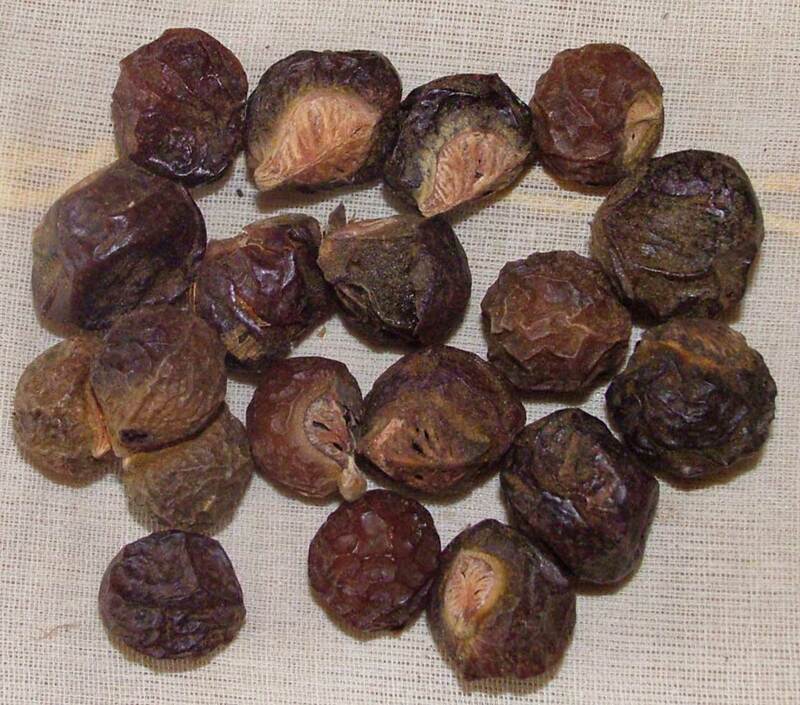 They come from a tree called the soapberry tree (Sapindus mukorrosi) and it is harvested in Nepal and India. I am always looking for a more eco-friendly and cheaper way to do things. When I heard about these I had to try them, especially since they are supposed to get rid of odor. I purchased a 10.00 bag from Earth’s Berries and that should do about 100 loads of laundry if I follow the instructions correctly. Basically you take about 4 or 5 nuts and put them in to the little muslin bag you are given with your order. If you are doing a cold wash you have to soak the nuts in hot water first for a few minutes to “activate” it. But if you are doing a hot wash you can just toss it in. The nuts should do about 3 or 4 loads so you can reuse them. Once you are done with those you can just toss them into the compost. The nuts do have a slight vinegar smell, but your laundry doesn’t come out that way. There was no real need for fabric softener either and I hung the laundry. The clothes smelled clean and they looked clean. So I was happy with that. The real test will be when I do Isabella’s diapers!! I think for the price, using these nuts will be well worth it. Even with the shipping it was about the same as going to the store and getting a petroleum based detergent. But instead of sucking more oil out of the ground, we have a small, stinky, wrinkled, sticky berry that will wash and deodorize the laundry! Oh and lets not forget there aren’t any plastic bottles to get rid of later. I’ll keep you posted on how well it works for diapers! This entry was posted in shopping and tagged Shopping, soap nuts. Bookmark the permalink. 1 Response to Nuts to all! Please let me know how it goes. I’m still struggling with detergent and skin reactions. If these work, they may be the way to go.